I began the day by getting the autobus to Hedalgo station. This time I was much more confident. 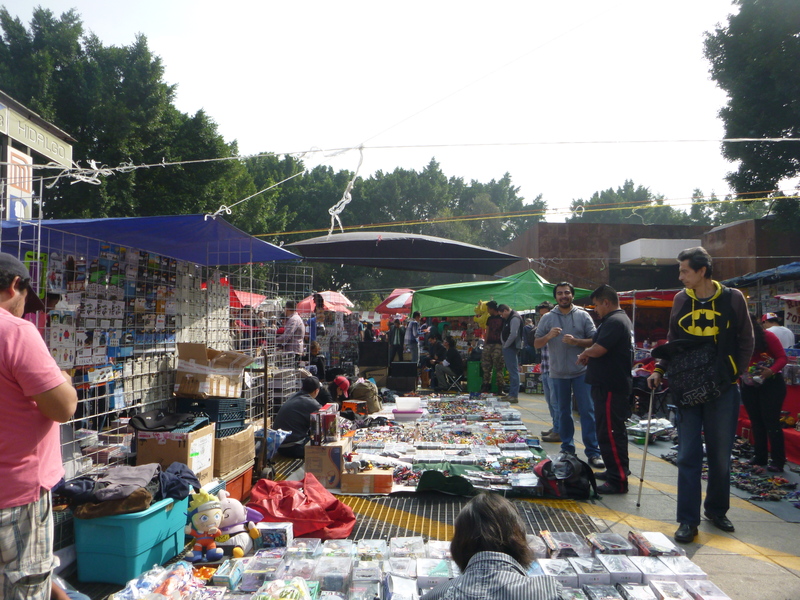 When I arrived at Hedalgo, I walked through the busy street market. It was full of vendors selling their goods, people sitting at tables eating meaty breakfasts and individuals sitting on the floor luring you over to buy their products. I took in the scene and walked out of the market into the park, which was lovely. 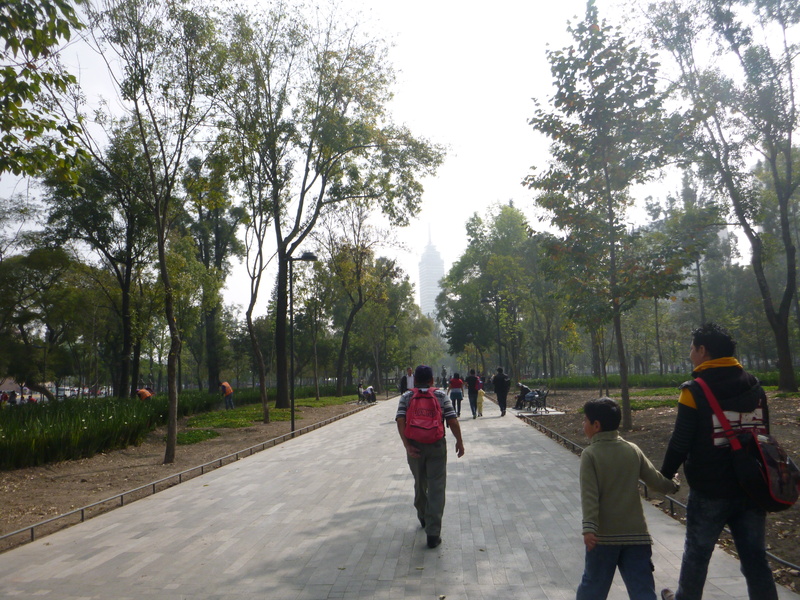 Trees and benches lined the path, teenagers messed around by the fountain, families walked by and friends chatted. On exiting the park I reached the Palicio de Bellas de artes. 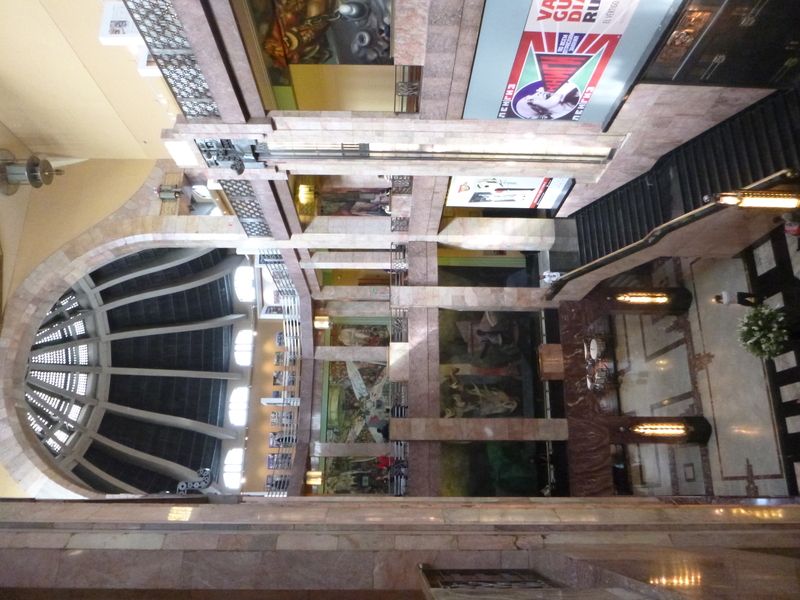 This was a magnificent building full of various paintings, murals and prints. It had several floors with marble stairs and flooring. 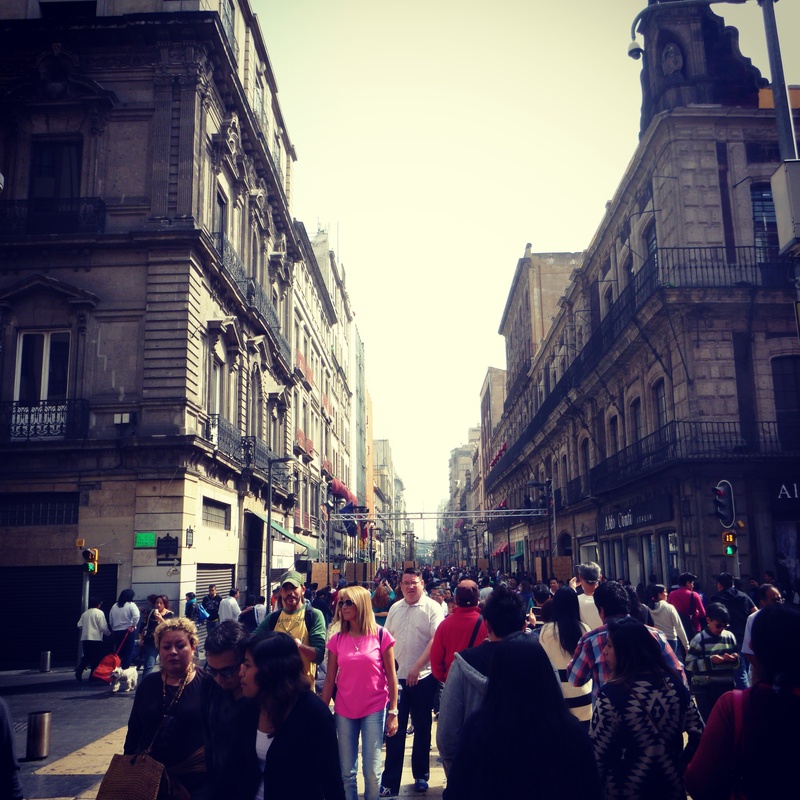 Next I walked down the bustling pedestrian Street named av Francisco l. madero. This was lots of fun, people surrounded me. The architecture was fascinating too. It seemed so alive. I reached a cathedral which I looked around and then headed back on the metro from the station zoculo – it was as busy as ever. 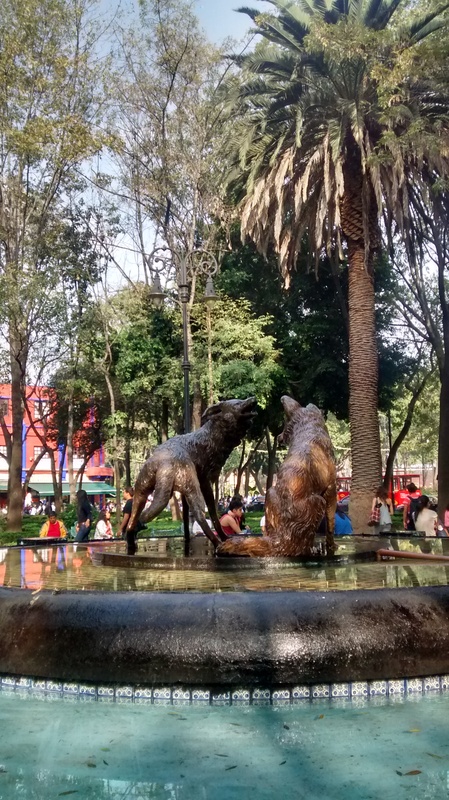 I met up with my host in her flat and she took me to south of Mexico city to a place named Coyocan. When we pulled up I discovered the bizarre, illegal, insane parking custom in Mexico. A man hailed us over offering us a parking space that he guarded and claimed to be his. Usually they put a cone there or something and then move it when you pay them. If you park in their spaces with out paying they may vandalise your car – so you must obey. 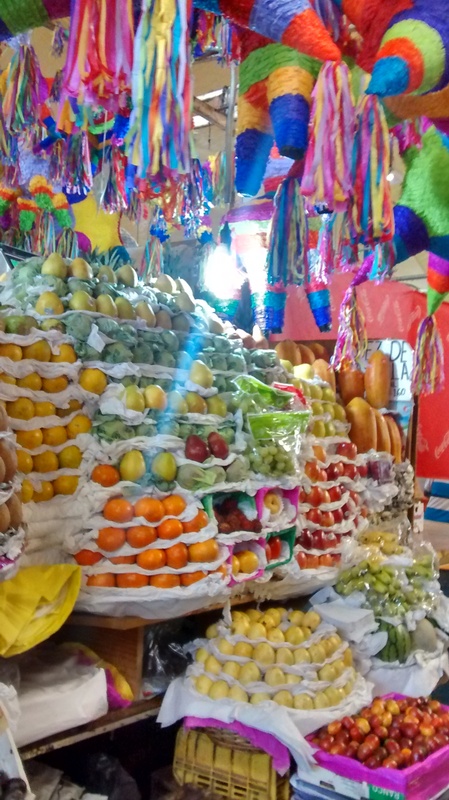 In Coyocan they had an even bigger market. I was overwhelmed with all the things being sold, from tattoos to silver. 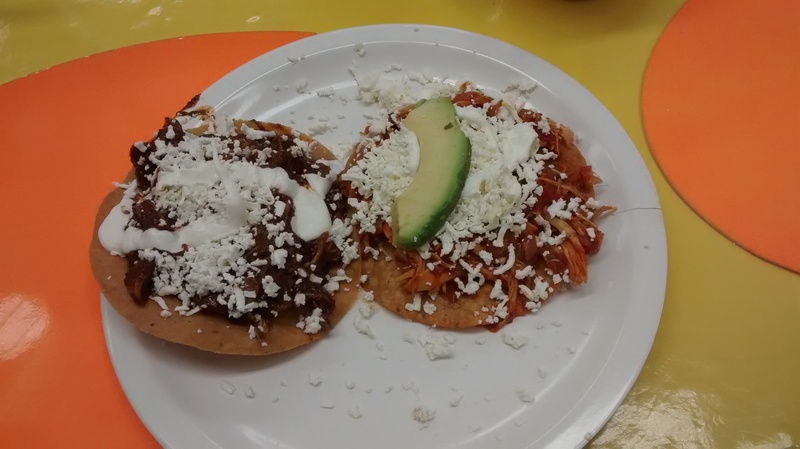 We stopped for the best tostadas around. I had a chilli chicken one and a chocolate chicken one. I had a Guanabana juice too, which is a tropical fruit grown locally it was divine. We roamed around the market looking at all the handcrafts and goods. Next we went to a few parks which contrasted the centre – they were calmer and more tranquil. 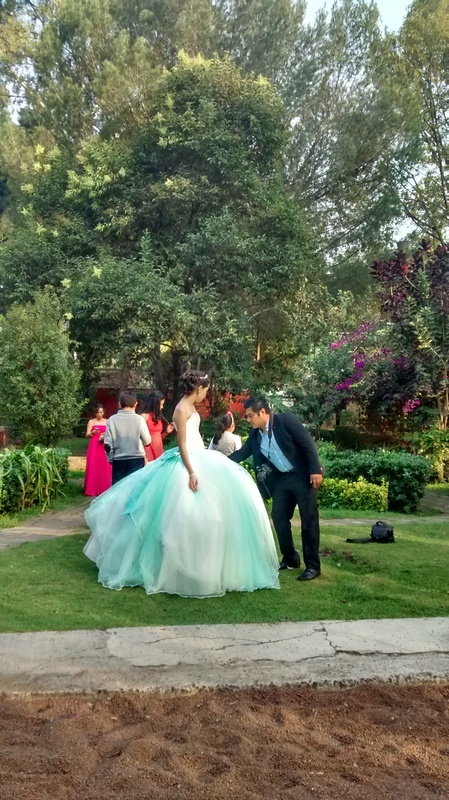 In the park we saw a ceremony occurring which happens for 15 year old girls. They wear an elaborate dress and have suitors surround them and dance with them. We looked around a stunning church, which was lovely. The had a cup of tea before retuning to the flat. As we were sat down minding our own business outside the cafe a lady came up to us selling us things. She had a bucket of crickets – a Mexican delicacy. Of course I had to try one. It was soaked in lemon and salt and then grilled. 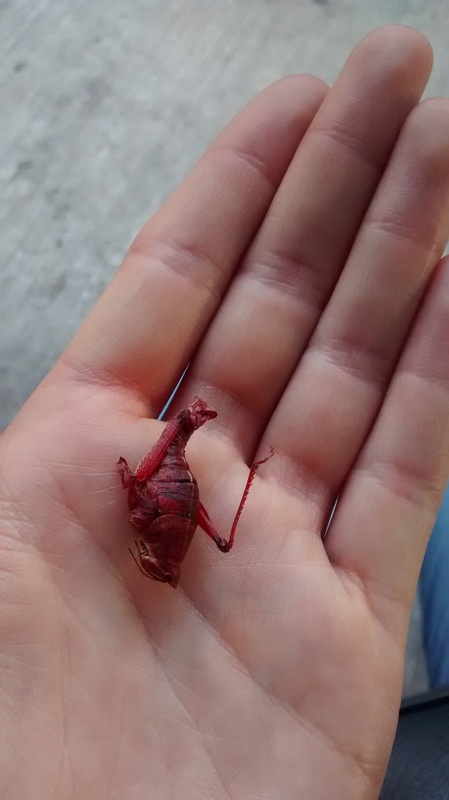 I pulled it’s legs off and chewed it, savouring the flavour. It tasted okay – a good source of protein apparently maybe I should encorporate it into my meals. 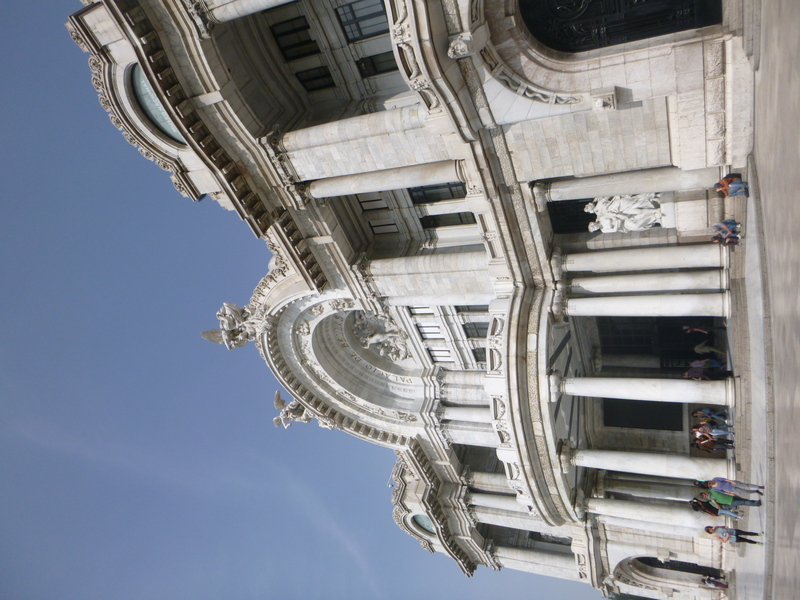 I had such a full day of exploring Mexico City it was great. My host is absolutely wonderful, showing me all around and opening my eyes to the wonders and adventures Mexico City has to hold.